Media Preparators & Pourers There are 2 products. MediaFill Automatic Plate Pourer We are proud to introduce MediaFill™; the new plate pourer from Systec. MediaFill is the perfect companion to the popular MediaPrep line of automated media sterilizers. Connect MediaFill to MediaPrep™ and you have completely closed and sterile walk-away system for media preparation and plate pouring. 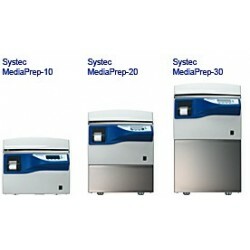 SYSTEC MEDIA PREPARATION Units are available in sizes 10, 20, 30, 45, 65, 90 and 120 litres. 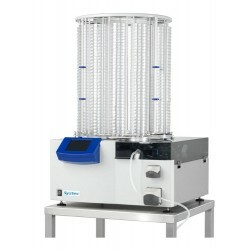 They make the preparation and sterilization ofmicrobiological mediafast, accurate and simple.